Of course that was the first thing that went off in my head when discovering the brand. 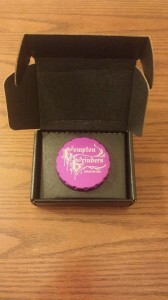 Compton Grinders? Had never heard of em before. Well, after a couple weeks on the Compton grind I’m left with no hesitation saying that they deserve to be on everyone’s radar. 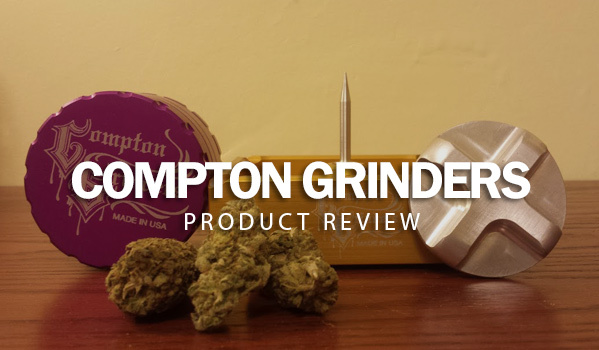 For this review, I tried Compton’s medium 4 piece grinder and ashtray. The shipment arrived promptly and neatly packaged; IKEA would approve, no space was wasted. The metal was still cold to the touch upon taking it out of the box, having sat outside all day in wintry conditions before I was able to get my hands on the new toys. 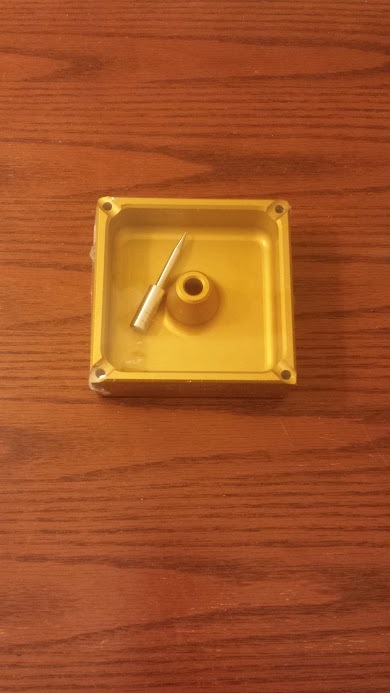 The grinder was boxed up securely and the ashtray came sealed in plastic with the poker disassembled. The screen removal key tool was bagged separately in its own ziploc. The stylings of the Compton branding prompted me to envision seeing one of the Sons of Anarchy pull one of these grinders out of his bike satchel and chop some trees with it. The anodized finish gives it a clean, smooth metallic look and feel. I’ll admit, going into this I was not expecting my trusty Space Case to be given a run for its money and then some. The feel of the Compton aircraft grade aluminum holds its own against my titanium Space Case. I’m a fan of the evenly spaced ridged grooves that allow for firmer gripping when turning the grinder. 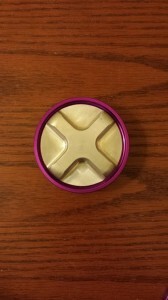 The symmetry is matched on the bottom as well with the kief catcher slice of the grinder. Makes me think of something that’d get used in Mission Impossible sliding across the ground popping up to deploy some smokescreen gas. 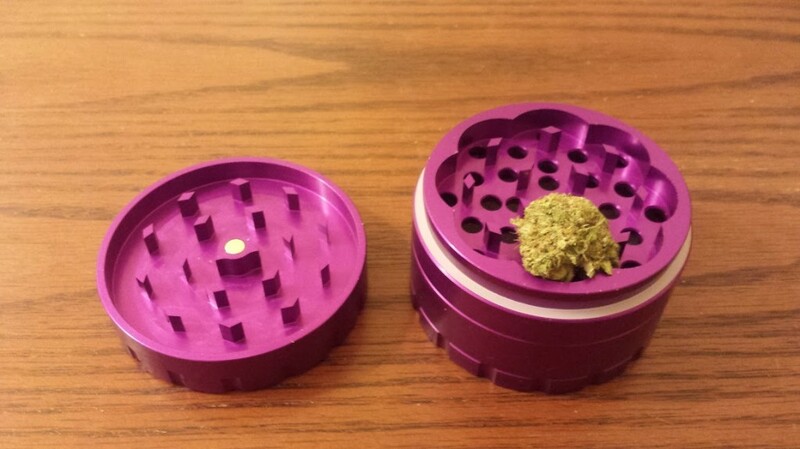 I might even be more impressed with their ashtray than I am the grinder. 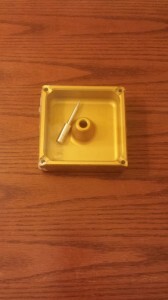 Perhaps due to the brassy metallic appearance of the ashtray, it made me think of my trusty ProtoPipe (went out and invested in one at my local headshop after seeing ‘Are You Here’ – worthwhile movie by the way). 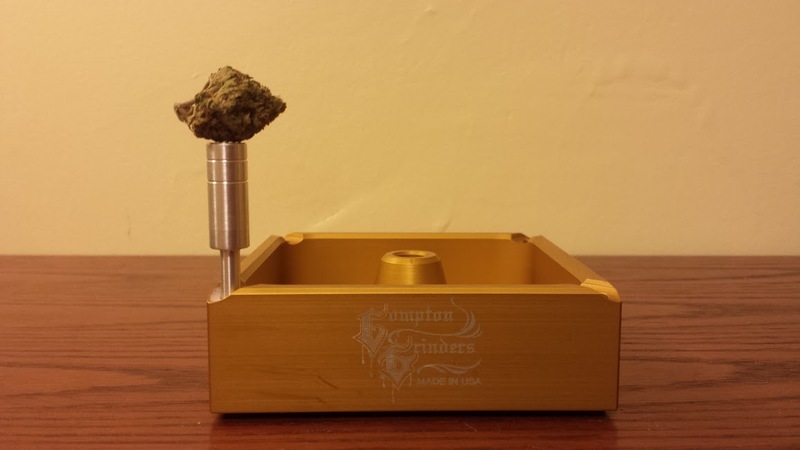 Anyway, back on point: Compton’s ashtray is pretty much the last ashtray you’ll ever need to invest in. The worst fear with this thing is somehow knocking it off the edge of the table and onto your foot (in which case their grinder is at your disposal to process the necessary medication, so all good). Now for the meat of the appraisal process. After 2 weeks of copious use – kept procrastinating this review quagmiring myself in the product testing phase – I can confidently say that it’s rotated to batting leadoff in my grind order. If you’re trying to get your Kill Bill on when facing the dank foliage out there, you gotta arm up proper with your Hatori Hanzo. The innovation Compton claims to bring to the game is immediately apparent upon lifting the cover that’s held in place by a neodymium magnet. 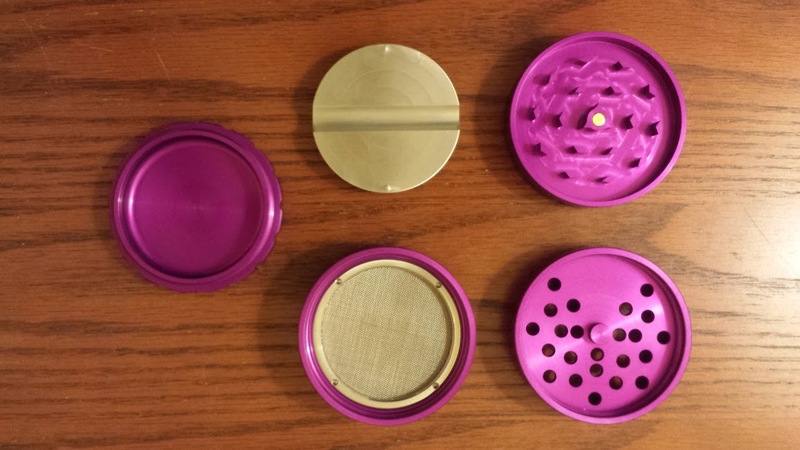 Here we’re faced with a cutaway triangular LZ into which we can conveniently load our grindables; gone are the days of punji sticking your bud onto grinder teeth before shredding it for consumption. Now you can offer a more honorable deathbed before twisting your buds to their glorious demise. There’s 16 teeth on the grinder cap with 11 interlocking on the bottom (some were taken out to accommodate the loading zone). The 8 petal wells are rounded as opposed to plateau’d so as to minimize accumulation and buildup – striving for that even butter spread across all the nooks and crannies. I like how they left a slight give between the two halves of the grinder so that you can wiggle it very subtly even when the grinder is screwed all the way shut. With most grinders I’ve experienced, kief buildup over time in the threading can make screwing the grinder shut an unwieldy chore – picture having grains of sand stuck under your soda bottle cap as you’re trying to close it on the beach. The small resulting tradeoff here is that when you open up the grinder after using it, sometimes there will be remnants resting on the lip of the grinder needing to be brushed back in – very minor observation, but one I thought worth mentioning. Part of the reason why I even noticed this in the first place is because their grinder has thicker walls than most I’ve encountered (kind of reminds me of the grinder version of the H2 Hummer Turtle was driving the crew around in during the early days of Entourage). Removing the screen after a couple weeks worth of usage and kief accumulation proved to be a straightforward task. The two teeth for the screen removal tool lock into place snugly, and the metal ring keeping the screen in place unscrews smoothly. All in all a smooth turnstyle mechanism. 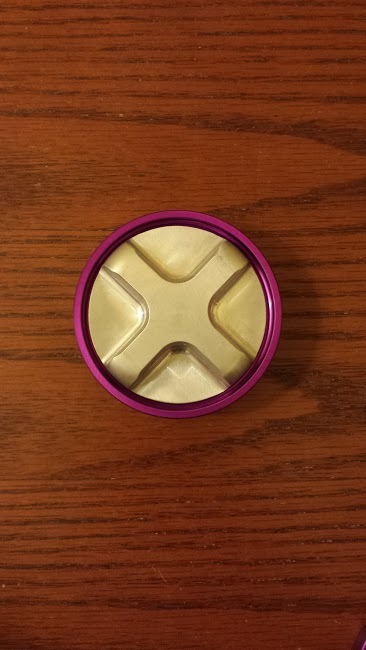 Pretty cool feeling like one of the X-Men every time I get the urge to unlock my grinder screen and dust off the grinder. The Compton team thought through every detail, as they even incorporated a curvature in the kief basin segment for ease of removal and scrapage. 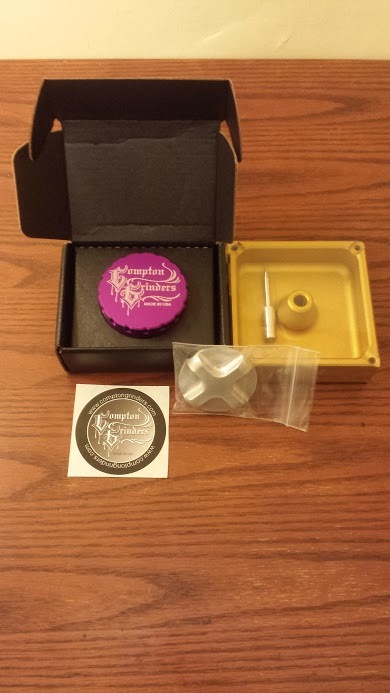 My only observation here is that the inclusion of a kief pick or scraping tool would have been a nice touch. Ideally, Compton could come up with a pick solution that doubles as a screen removal tool so everything could be housed in one compartment instead of having to carry the key tool separately. As for the ashtray, it’s a solidly crafted and durable piece that will suit your ashing and debowling needs. 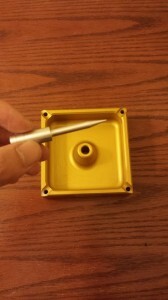 The metal spike in the center is a removable tool that, when not used for debowling, can serve as a poker for packing your rollables or more surgical bowl cleaning. My only minor qualm is that sometimes the tool wiggles free and becomes dislodged slipping up and down when I’m cleaning stuff against it. 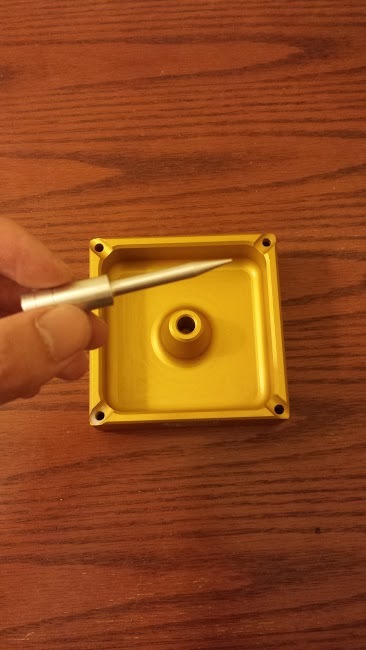 One possible tweak could be adding a neodynium magnet in the base of the metal poker to keep it affixed more firmly in place. Comparable pricing for the aluminum versions of the medium and small Space Case from authorized retailers comes in at $74 and $64, respectively. 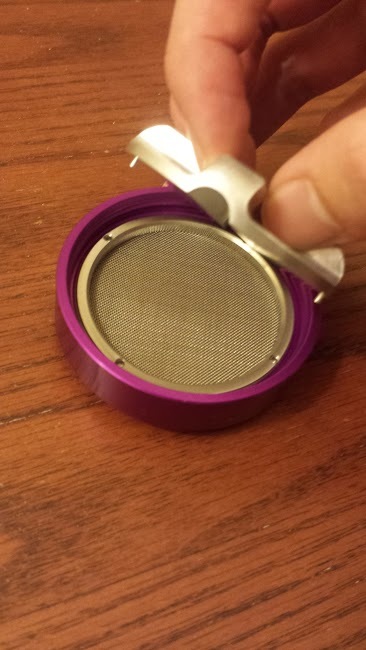 If I was just judging the grinders head to head, the Compton wins in a straight up battle, but throw in the screen removal mechanism and it truly is a game changer. Compton’s also got a 2 piece no frills option if you’re just looking to grind and nothing else – the boneless tenders. Some people swear by flavor being best retained with bones in, but why lock yourself into just one way of experiencing the world when you can dabble in both? I can see the 2 piece being a more ideal on-the-go, streamlined solution. At $39.99 for the ashtray, the price point might seem steep initially – especially when compared to the grinder. However, when you consider cost per use and the fact that it’s the last ashtray you’ll ever find yourself needing to buy, a luxurious boneyard doesn’t seem like such a terrible play. 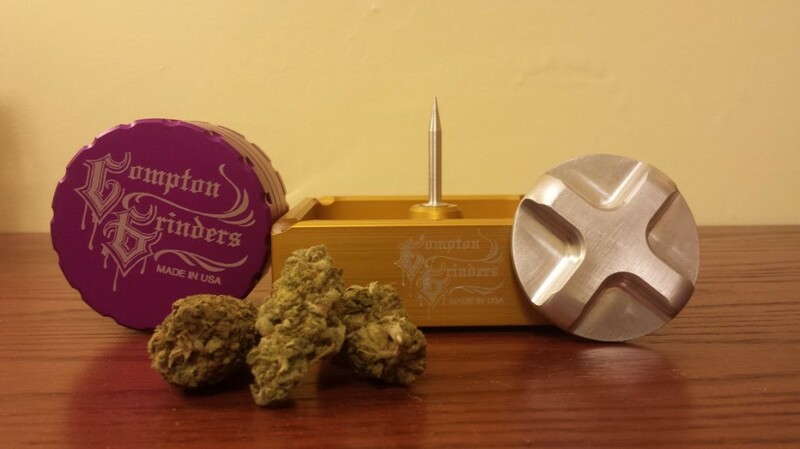 Compton also has an add-on vault component that works in conjunction with the medium grinders which I’ve yet to try. I’m also curious to give their nails a spin after this and will report my findings back to you guys as I get the chance. All in all, I went into this being skeptical and ended up having my expectations exceeded. Just goes to show that you should never get too comfortable or resistant to change, as you never know when the next newcomer is going to come along and spice up the game. Up until now, I’d always considered Space Case to retain top ranking on the grinder totem pole; was inspired to scoop mine after my buddy came back with one from Bonaroo sold me on it as the best in class option. Granted, I’m relying on my small titanium Space Case from 4 years ago to draw comparisons so perhaps I should update myself on that front. I’ll always have a special place in my heart reserved for Space Case, but given that Compton also boasts the Made in USA, I’d be hard-pressed to steer anyone away from them as my current go-to grinder option. Premium lawn-mowing of the highest order in the palm of your hand.